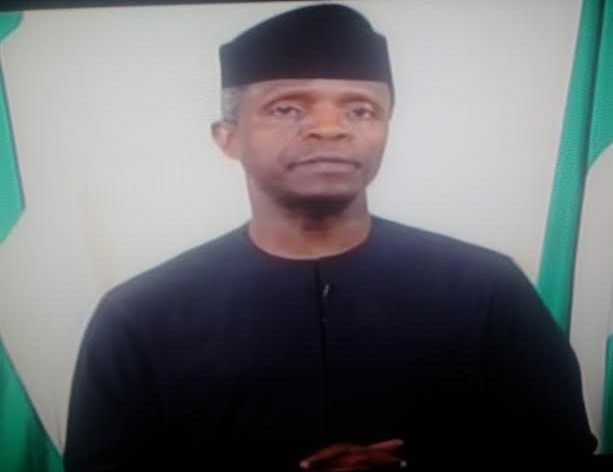 To celebrate this year's Democracy day, acting president, Yemi Osinbajo, this morning addressed the nation. In his speech, he highlighted the progress made by the Military in the war against Boko Haram, engagement of the Niger Deltans. He said the government is working with State governments, and tasking security agencies with designing effective strategies and interventions that will bring this menace to an end. On food security, he says the government is taking seriously its ambition of agricultural self-sufficiency. He said that since 2015, Nigeria's imports of rice have dropped by 90 percent, while domestic production has almost tripled. He says the goal is to produce enough rice to meet local demand by 2019.